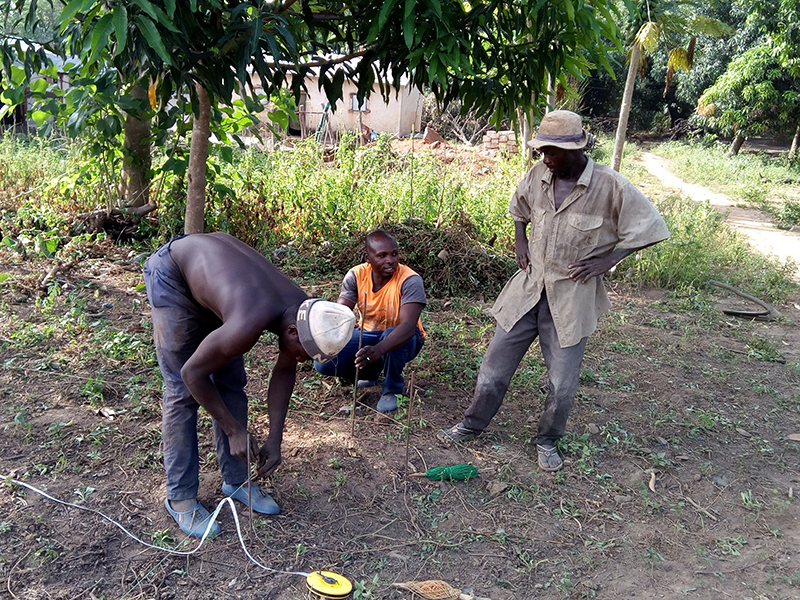 On November 3rd last, NV masons from Benin started the first construction site of the season in Vanhoui, in the Djougou region. As part of a Cement Mason Promotion , the construction of this vault of 8 linear metres involved the training of two apprentice masons, as well as the initiation of two new artisans as potential Trainer Masons. As a result of their advancement at the end of the last season, these two NV artisan masons will help in the training of new apprentices, accompanied by the AVN team who will monitor their technical and pedagogical competences. This example illustrates very well the desire of AVN to reinforce its training activities (training of masons, of trainers, of quality control staff etc.) to accelerate the growth of the NV offer, both quantitatively and qualitatively, so essential for market equilibrium. Last season in Benin, 51 apprentices, masons and artisans were trained in the NV technique through Cement Mason Promotions. AVN offers training in the NV technique to conventional masons (’cement masons’) as part of the construction of their own NV houses.